General Electric is not supplying the engines for the A350 XWB, but they are onboard. 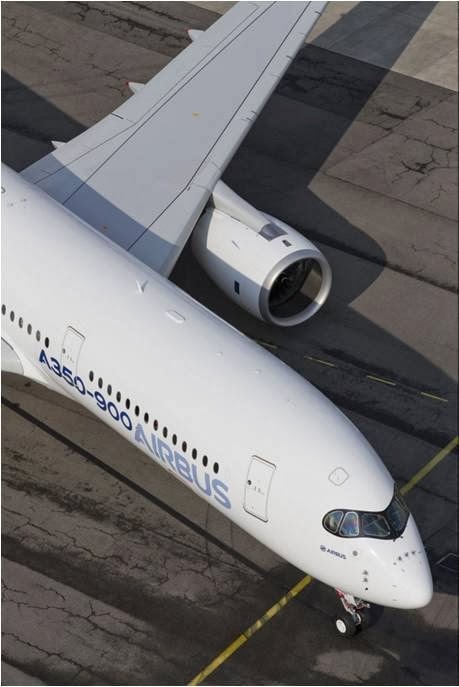 When the Airbus A350 is progressing on the flight test campaign, much attention is focused on the Rolls-RoyceTrent XWB powerplants. But while the Trent XWB is the only engine available for the new big twin, R-R's arch rival GE is still onboard. 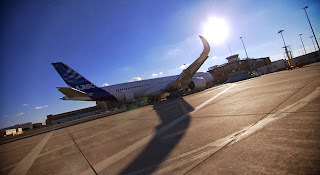 GE's aviation division is a significant aerostructures supplier and its UK facility at Hamble-le-Rice, Southampton, supplies Airbus with fixed trailing edge components for the A350 wing. That package - for 3,000 components, including structural composite panels and complex machined assemblies - is the largest production contract awarded to Hamble in its 75-year history. The deal, under which GE is a risk-sharing partner, extends to all A350 variants, including the -800, -900 and -1000. 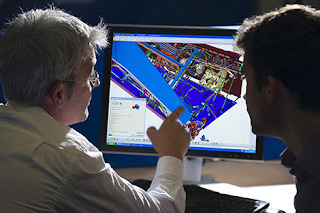 GE bought the Hamble facility in 2007 as part of a package of businesses it acquired from Smiths, transforming what was at that time a build-to-print supplier into a full-function design and manufacturing partner today. 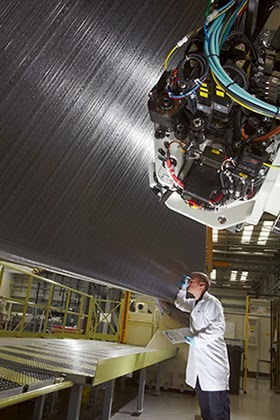 Hamble is due to see a $50 million composites facility investment dedicated to A350 and running in time to meet aircraft production ramp-up requirements. Work has already started, and the facility should be ready near the end of 2014. 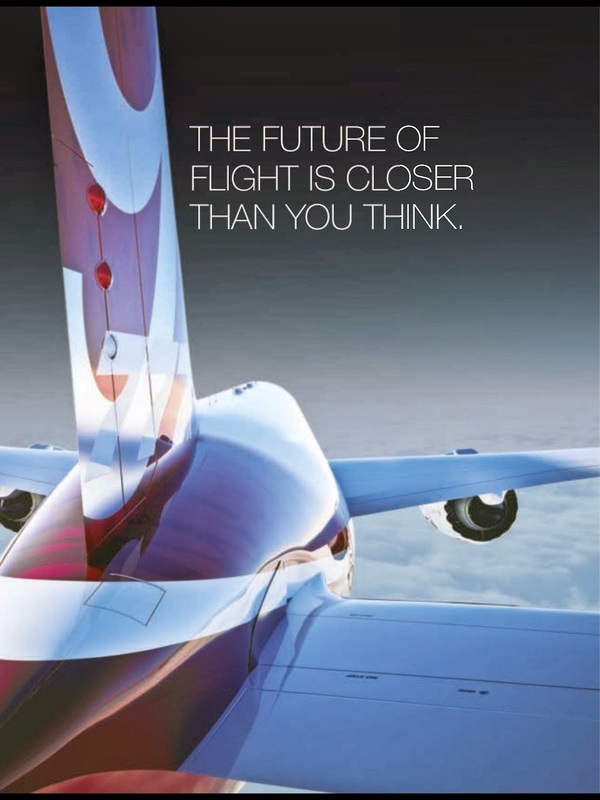 Based on the article “GE takes flight on A350 wing” published in Flight International. A350 XWB in Japan. 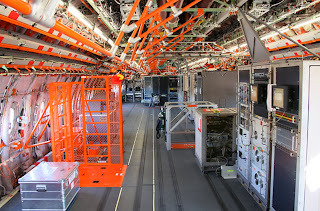 JAL´s 4-class “Sky Suite” configuration leaves the A350-1000 as a small aircraft. ANA´s fleet renewal decision in January/2014 has the Boeing 777X as frontrunner despite the earlier availability of the A350-1000. 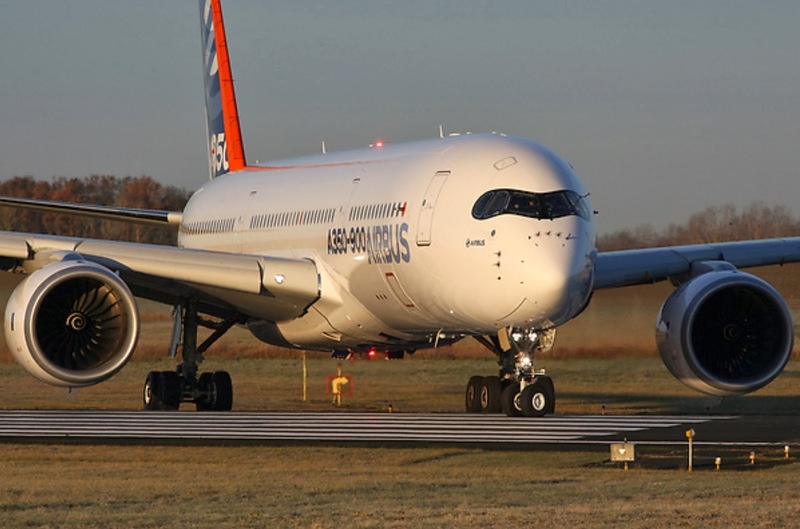 JAL placed a firm order for 18 Airbus A350-900s and 13 A350-1000s on 7/October/2013, in what Boeing Capital Corporation managing director Kostya Zolotusky characterised as “a heartbreak”, exactly replacing Japan Airlines’ 13 777-300ERs, 11 -200ERs and 7 -300s in one fell swoop. 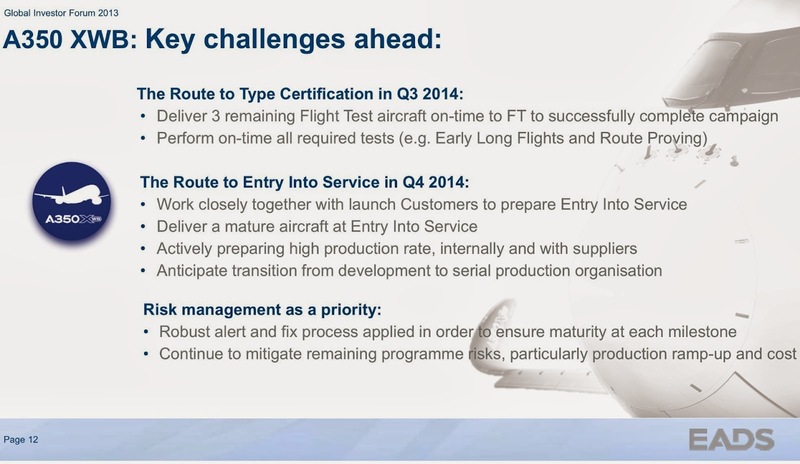 But Japan Airlines (JAL) still needs 777X for growth under constraints. 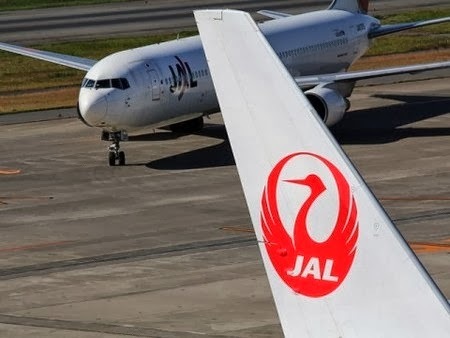 Because while the 350-seat A350-1000 is consistent with JAL’s strategy to focus on improving traffic mix and yields instead of volume (in addition to early availability of an aircraft that burns 25% less fuel than the 777-300ER in 2019), its 4-class “Sky Suite″ only configures the 368-seat 777-300ER with 232 seats, let alone the smaller A350-1000. Therefore should Japan Airlines (JAL) seek profitable growth in the future, particularly after the slot allocation at Tokyo Haneda, it would have little choice but to seek a slightly larger aircraft such as the 400-seat 777-9X which may end up carrying only around 300 passengers in the “Sky Suite” configuration. 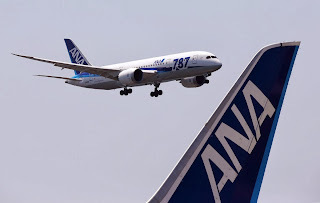 The other Japanese airline ANA will make a decision for it´s fleet renewal by next month, with the replacement of 22 Boeing 777-300ER target. Despite the earlier availability of the Airbus A350-1000s beginning in 2019, ANA is favoring the larger 400-seat 8,200nm (nautical miles) Boeing 777-9X as it is compatible with ANA’s future international growth profile under severe slot constraints over the next 20 years, and also partly owing to its cozy relationship with the Japanese government. As the first 777-9X is not expected to enter into service until the second quarter of 2020, the availability of more, not fewer 787 Dreamliners is essential in winning ANA’s order, since the airline still has 50 767-300 or -300ER passenger aircraft in its fleet despite having 23 787-8s in its fleet and another 13 on order. More of the domestically-configured 787-8s with 222 seats are required, while the 30 787-9s on order are likely to replace its fleet of 16 777-200s. 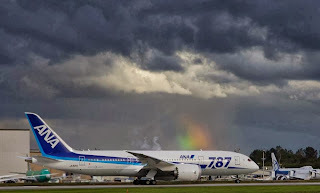 A combination of around 20 777-9Xs and a similar number of 787s is likely to be included in the package offered to ANA (as per Aspire Aviation informations), including the 320-seat 6,000nm 787-10 that would be ideal for domestic trunk routes, Southeast Asia routes and even transpacific crossings replacing the 12 777-200ERs and 7 -300s. 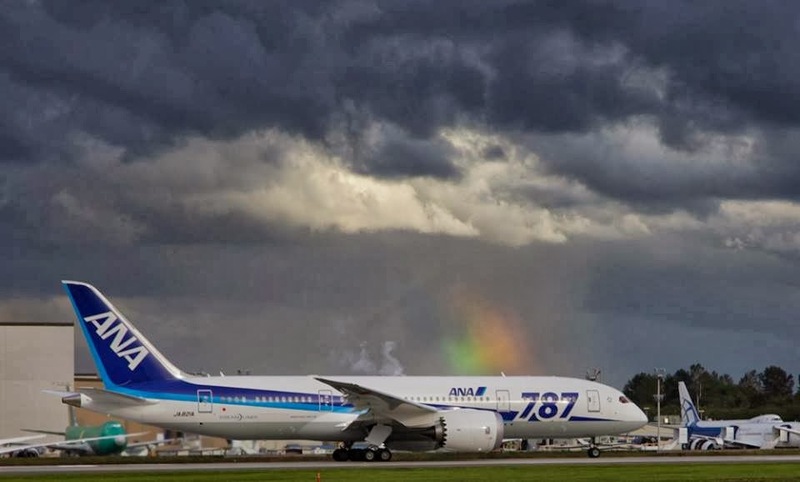 Furthermore, with the announced 787 production ramp-up to 12 aircraft per month by end-2016 and 14 per month by the end of the decade, these 787s could be offered to ANA at steep discount without undermining the 787 program’s overall profitability. 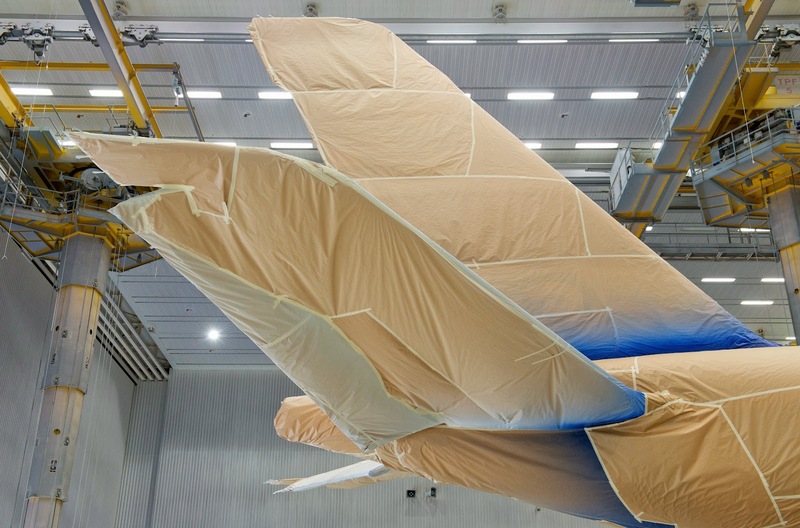 For ANA, it could replace a majority of its widebody fleet before the end of the decade without bearing significant delay risks as the 787 program will have been mature by the time the planes ANA ordered are delivered. 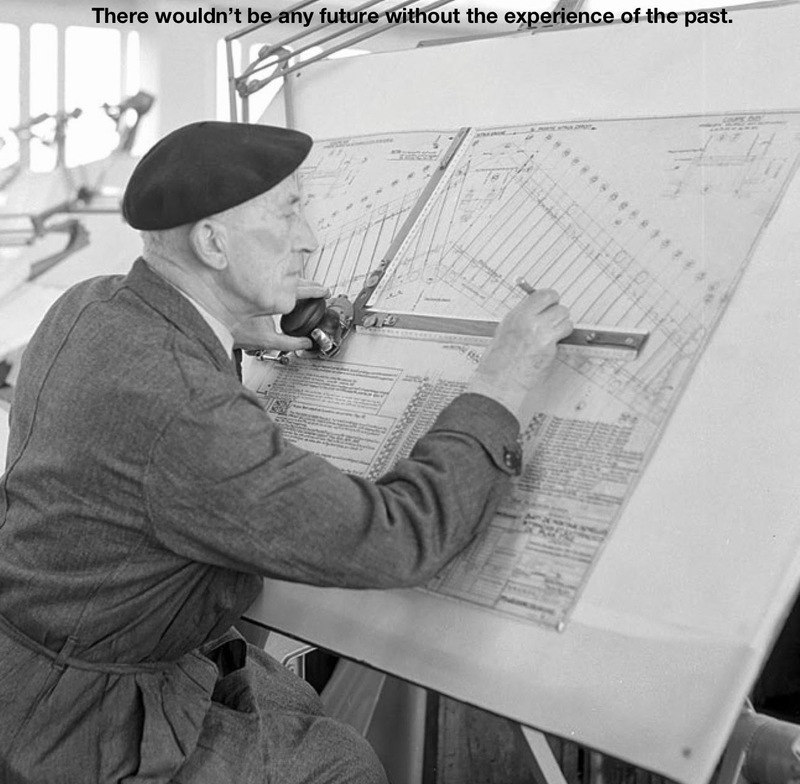 “In the past, aircraft development used to be more on schedule, but lately there have been delays. Possible delay is something we will consider,” ANA Holdings Inc. president Shinichiro Ito said. American Airlines – which merged with US Airways last 9/Dec – said that the company and Airbus have amended the agreement to state that its 22 A350s will be A350-900s. Deliveries will begin in 2017. The original order, from October/2007, was placed by US Airways ordering 22 Airbus A350 aircraft; 18 were to be the smaller A350-800s with only 4 to be the A350-900s. Originally, US Airways was to get its first A350 in 2014. In 2009, it announced the schedule had slipped to 2017, with all to arrive by the end of 2019. 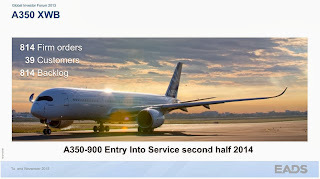 There are 2 news on this announcement disclosed by American Airlines in a stock exchange filing after the close of markets in New York on 27/December: the confirmation of the 22 aircraft ordered by US Airways -20 days after the merger with American- and the change from A350-800 to larger A350-900 model, as preferred by Airbus. EADS CEO Tom Enders awarded as the Best Performing CAC 40 Manager by as per France’s Challenges Magazine. The award recognizes the overall performance of EADS in 2013. EADS Chief Executive Officer (CEO) Tom Enders has been named Best Performing Manager among the CAC 40 companies by France’s Challenges Magazine. Enders was presented with the award by Fleur Pellerin, French Minister Delegate for Small and Medium-Sized Enterprises, Innovation and the Digital Economy and Vincent Beaufils, Managing Editor of Challenges Magazine. The award recognizes the overall performance of EADS in 2013. "I accept this award with great pride on behalf of all of us at EADS. 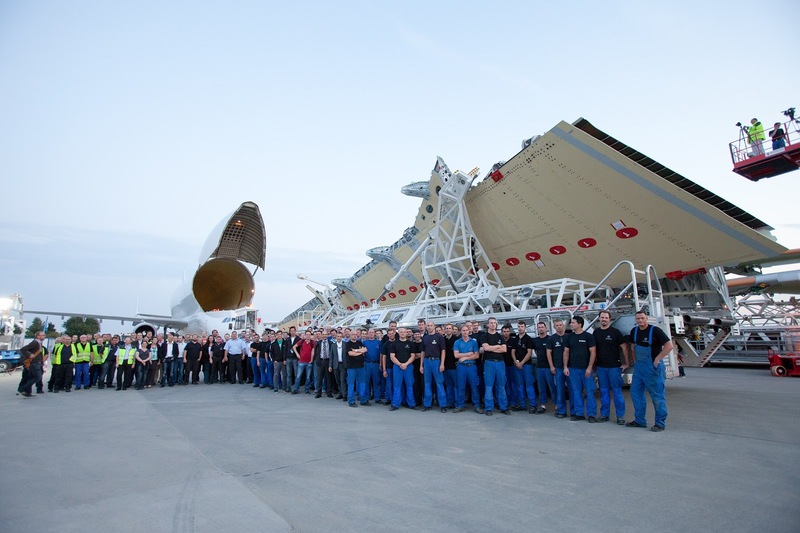 The success and performance of our Group is the result of the engagement and dedication of everybody at EADS. It’s a team achievement for which I am extremely grateful," Enders said at the award ceremony. 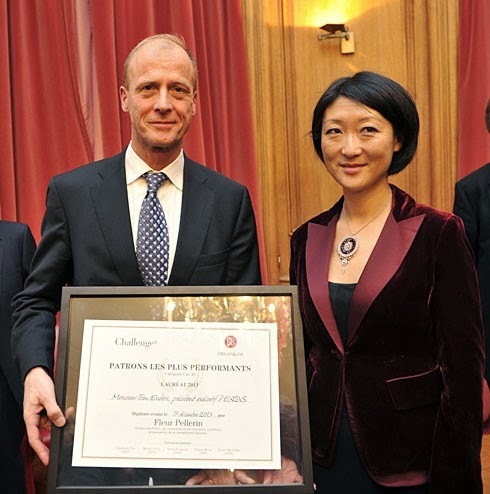 Tom Enders and Fleur Pellerin, French Minister Delegate for Innovation and Small& Medium-Sized Enterprises. "2013 was a tremendously fast paced and transformational year for the Group. We witnessed the first flight of the A350XWB and the first deliveries of A400M military transport aircraft to France. In our helicopter business, the French Ministry of Defence endorsed the NH90 helicopter with a key order for 34 additional units. 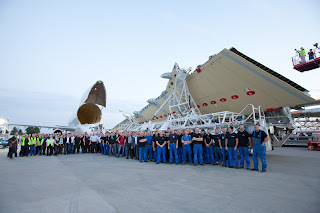 Furthermore, Astrium fostered the position of the Ariane 5 as the world’s most reliable launcher with the 57th consecutive successful launch in a row”, said Enders. 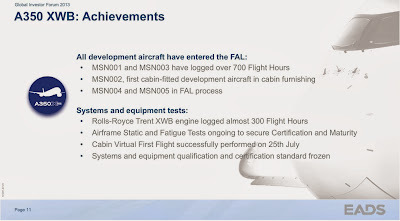 “We also implemented a normal corporate governance, welcomed a large number of new private shareholders and saw the market value of EADS significantly increasing. 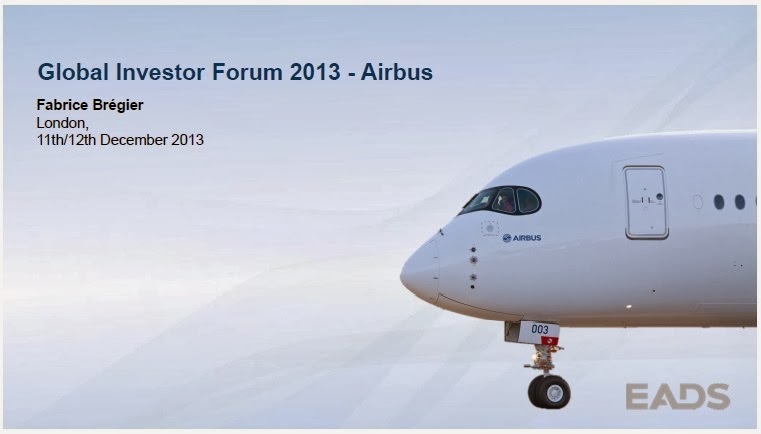 From next year onwards, we will be Airbus Group, capitalizing on our strongest brand. 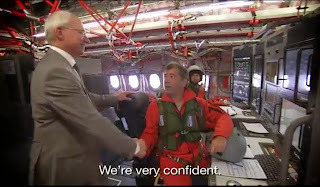 And we are enhancing the competitiveness of our defence and space activities integrated into one Division, Airbus Defence and Space,” Enders added. GKN Aerospace receives its second award for the A350 XWB rear wing spar design. The UK Composites Industry award for ‘Innovation in Composites Design’ is one of 8 awards made by Composite UK, the trade body for the UK composites industry. 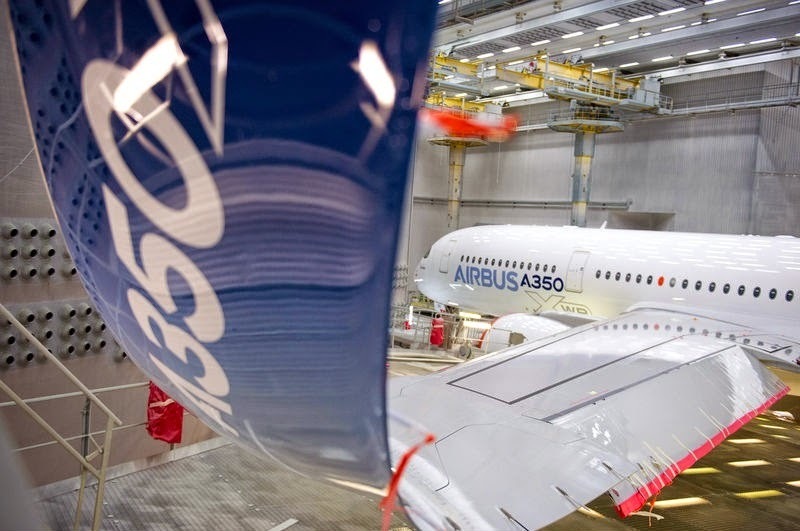 This second award also recognizes the success of the intensive development and production program for the A350 XWB wing spar, with GKN Aerospace engineers working closely with the Airbus engineering team and materials supplier Hexcel throughout. As a result the spar has met demanding weight, strength and flexibility targets. The 27m long A350 XWB rear wing spar is manufactured in 3 sections and forms the structural heart of the aircraft wing’s fixed trailing edge (FTE), holding vital parts such as the main landing gear. 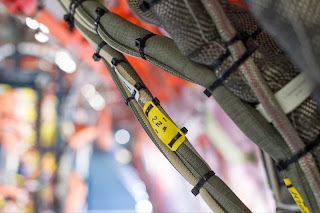 The spar has complex integral contours that enable it to carry precise customer-specified aircraft loads at critical points and yet remain flexible and lightweight. 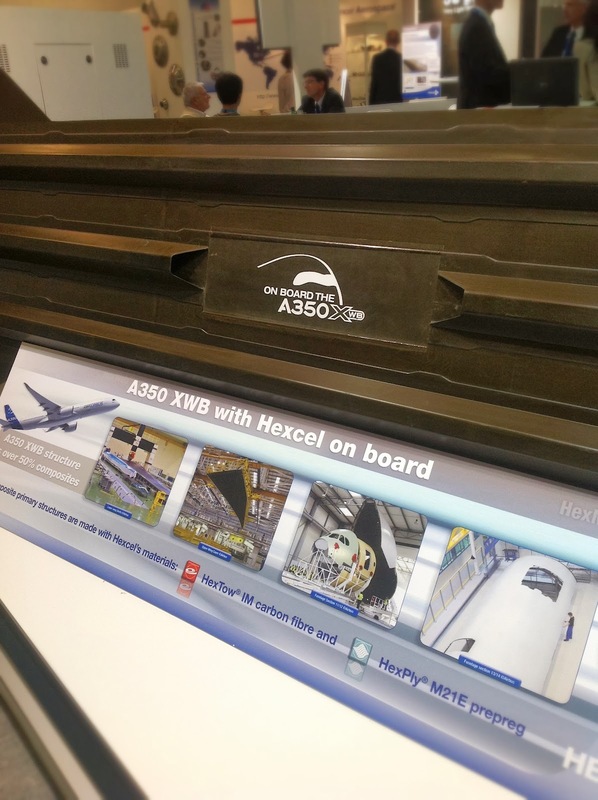 Hexcel supplies composite raw material with a value of $5 million per aircraft in the A350 XWB program. Hexcel anticipates 2014 revenues of between $1.80-1.88 billion in 2014, compared to 2013 revenue of between $1.65-1.68 billion. 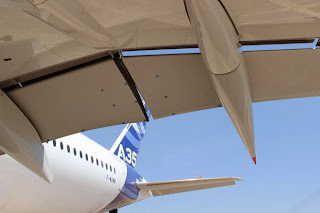 Commercial Aerospace, which comprises about 63% of the company’s last 12-months sales, will be driven by sales to Airbus, Boeing, and their subcontractors thanks to on-going increases in aircraft build rates and new composite-rich aircraft programs that are ramping up. 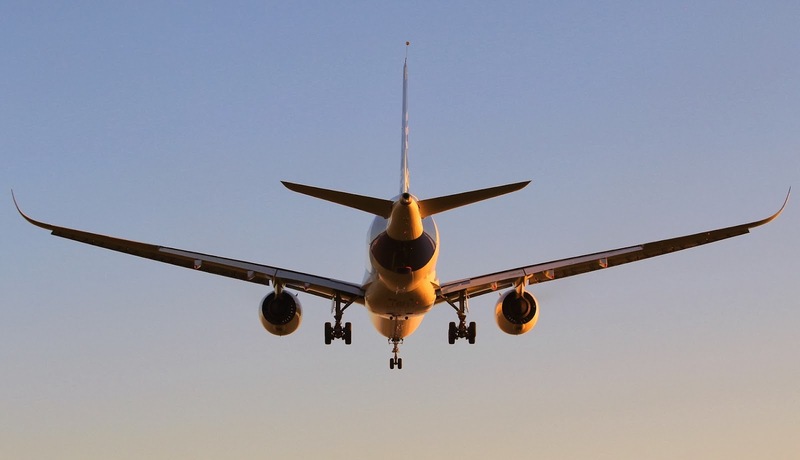 Regional and business aircraft account for the remaining 15% of Commercial Aerospace sales and are also expected to increase in 2014.
the A350 XWB and to support higher aerospace growth in the mid-term. There is no change in Hexcel’s view on total capital expenditures needed to reach its $2.5 billion sales target in 2017. Cathay Pacific has placed an order for 21 Boeing 777-9X aircraft, with deliveries to take place between 2021 and 2024. The aircraft are worth $7.5 billion at list prices, said the Oneworld carrier in a statement. 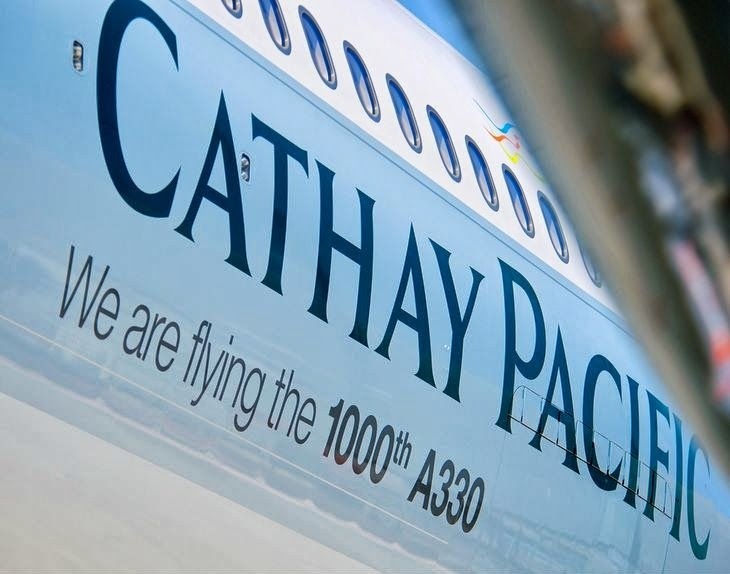 “Cathay Pacific is committed to modernizing its fleet to provide a superior experience to passengers while at the same time delivering cost benefits to the airline and reducing our impact on the environment,” said Cathay chief executive John Slosar. He said the aircraft will be used mainly on routes to North America and Europe, particularly routes with high volumes of both passengers and cargo. 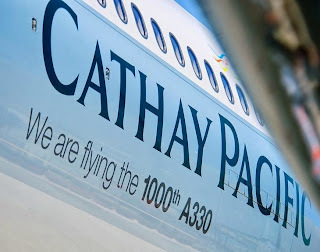 Cathay Pacific operates 38 Boeing 777-300ER aircraft, and has another 12 on order. 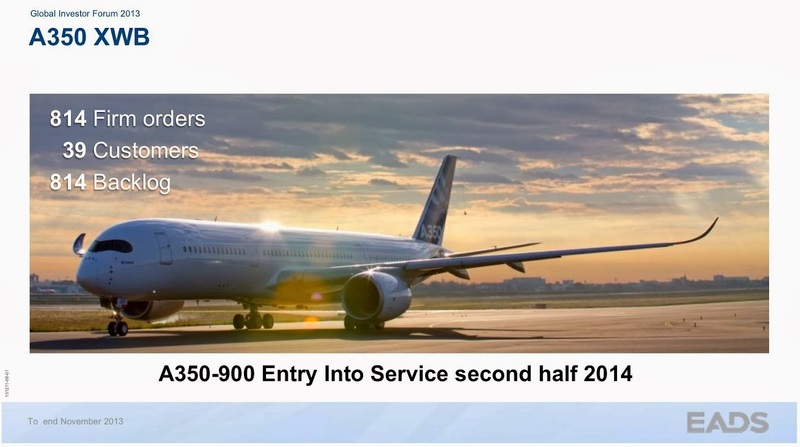 The carrier also has orders for 26 Airbus A350-1000s, and 22 A350-900s. 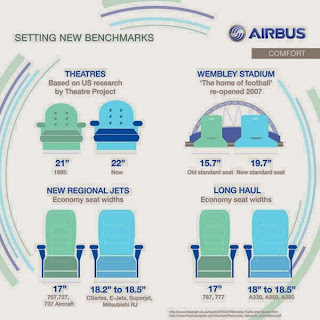 Not all A350 XWB will be configured in what Airbus considers the passenger comfort standard of 18-in seat width. It can be called “high-density configuration” or also “eco-efficient leisure cabin”. 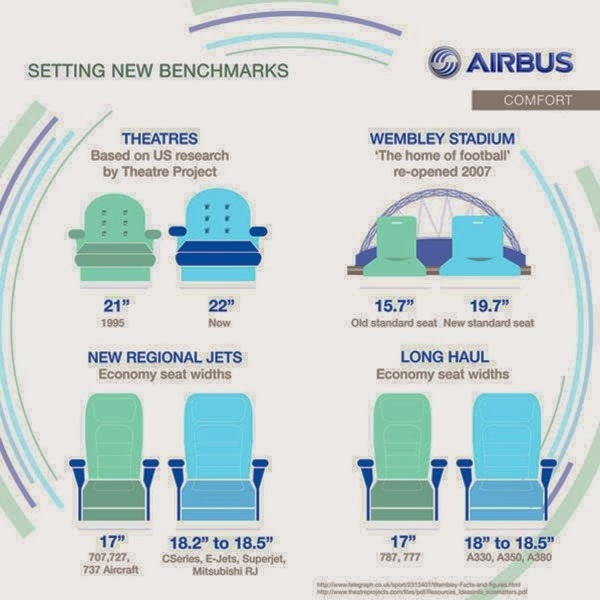 For the past few months, Airbus has been campaigning for an 18-in seat width standard on long-haul aircraft, even though the European airframer continues to advertise the option for airlines to order a high-density 10-abreast A350. 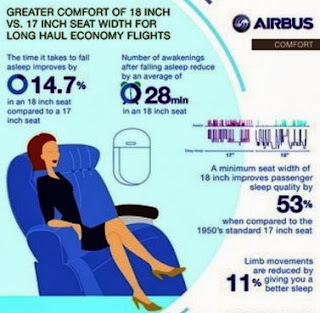 Some industry observers believe that, in flogging an 18-in “comfort” standard while actively pitching super snug, high-density configurations, Airbus is talking out of both sides of its mouth. Airbus VP cabin innovation & design Ingo Wuggetzer disagrees, saying the airframer is being forward thinking, and considering the next generation of traveler. “In general, we see people are growing more in width than height, so there should be a demand and I think we also have a good position because we have the best cross section in the market. So we should make use of it. [So we’re] offering seat width that is superior, and is made for that next generation of traveller,” he says. 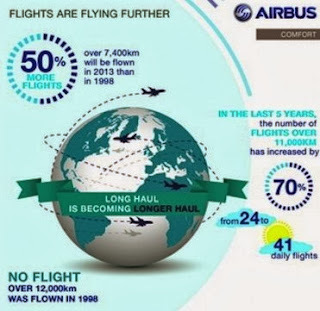 He also revealed that all Airbus A350 customers “except one low-cost carrier” had adhered to an 18-in seat width in economy. Flightglobal in May/2012 reported that AirAsia X had ordered its A350s in 2-class configuration, with 10-abreast in economy. 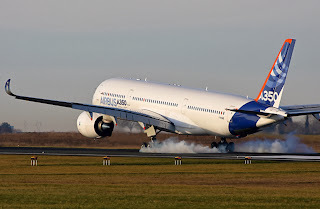 Air Caraibes has ordered 3+3 A350-900 and A350-1000 with 387 and 439 seats in “eco-efficient leisure cabin”. But one can’t help but wonder if other airlines will follow suit, as the market has wholly embraced the 10-abreast 777-300ER and its 777X successor (even in the face of passenger consternation about 10-abreast). Based on the article “Nearly all A350 buyers opt for 18-in seat width” published in Run Way Girl Network. 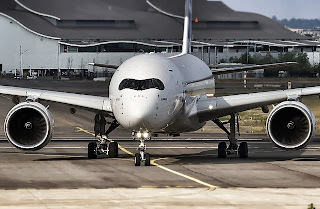 The first A350 prototype MSN1 has been on the Châteauroux-Déols Airport last week performing different tests. 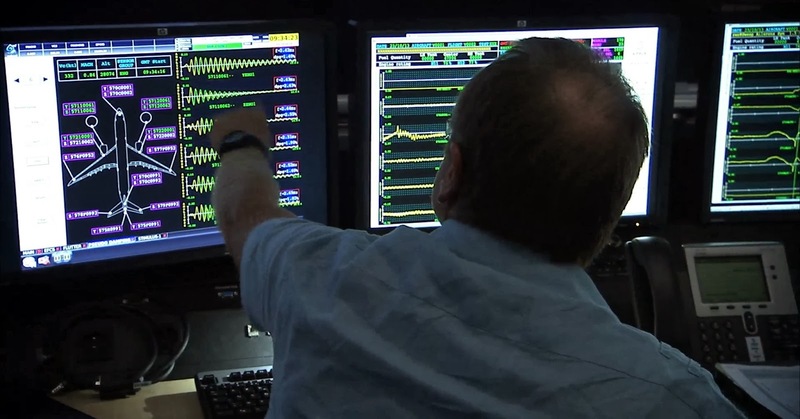 The MSN1 has many Flight Test Instrumentation focused on the Natural Ice campaign installed as it can be seen in the pictures and in the video. 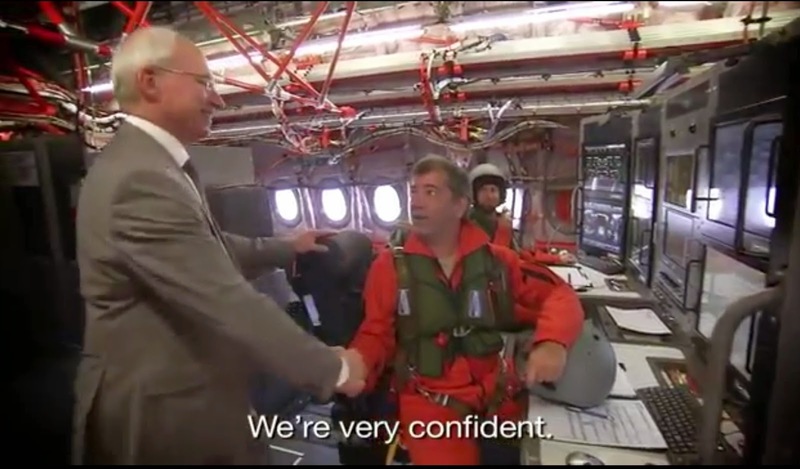 Braking tests and several landings & take-offs were performed testing engines and different landing configurations. Based on the article “L'Airbus A350 sur l'aéroport de Châteauroux” published in La nouvelle Republique. 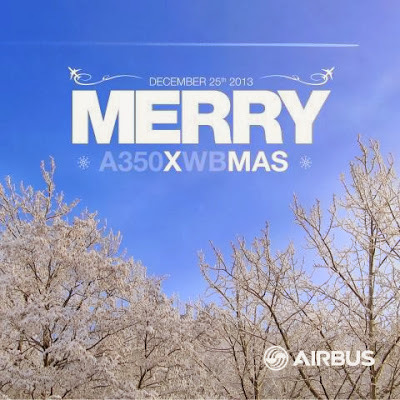 Didier Evrard is Mr A350. And he received the award of “the engineer of the year” in December during the annual ceremony organized by Usine Nouvelle magazine. He has managed an industrial development for last 7 years with more than 10,000 engineers and with a cost exceeding EUR 10 billion. This former student of the École Centrale de Lyon and Sup'Aero has celebrated in July his 60 years "with pride" one month later than the First Flight of the A350. "Didier Evrard has big pressure on the shoulders, but works quietly, discreetly," reflects Françoise Vallin, CFE - CGC Airbus trade union delegate. "At first, people were stunned that we did not choosen an airbusien”, said Louis Gallois former EADS CEO. "He had never worked on an aircraft during his career and we appointed him as the Head of the most difficult program never done”. 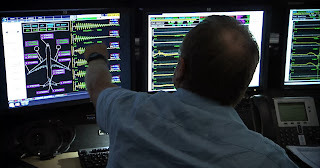 FAA may impose “special conditions” for A350 Type Certification concerned about safety & maintenance protection: has the design of the A350-900 allow for too much connectivity between the aircraft control domain and other electronic systems onboard? 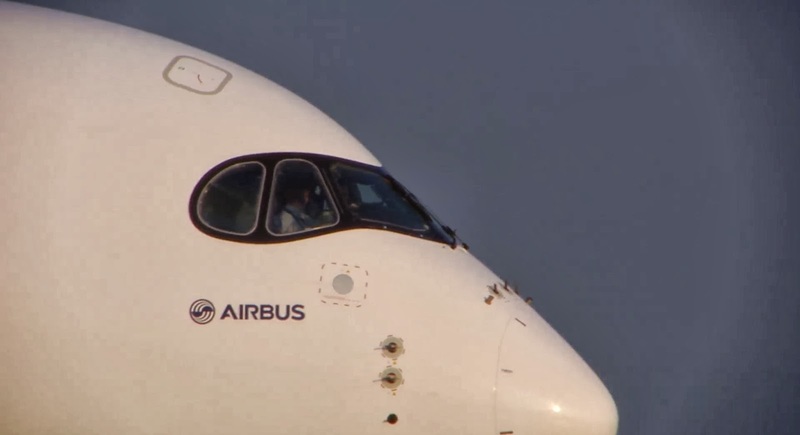 Consequently, the FAA has announced that it may impose “special conditions” on that specific Airbus plane before issuing a “type certificate” that would allow the plane to fly commercially. 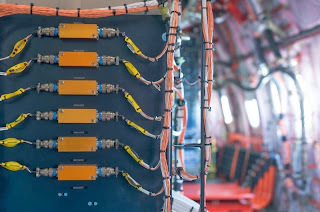 Those special conditions would require Airbus to “ensure airplane electronic system security protection from access to or by unauthorized sources external to the airplane,” that any threats are identified and assessed, that “electronic system security protection strategies are implemented,” and that procedures are put in place to ensure that continued airworthiness of the aircraft is maintained. Based on the article “FAA concerned about interconnectivity of electronic systems on Airbus A350-900 airplanes “ published in Government security news. 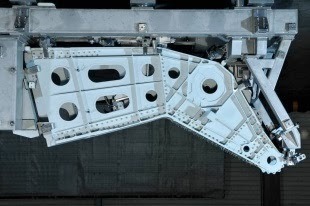 Airbus relies on the background of Saab to develop and manufacture the flap support structure for the A350-1000. SABCA from Belgium will continue manufacturing the same work-package for A350-900 model. Saab has signed a contract with Airbus to become a supplier for the A350-1000. 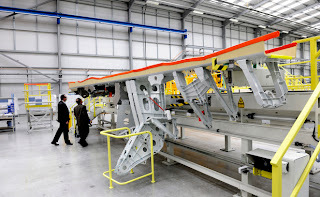 The agreement covers design, development and manufacturing of the flap support structures. 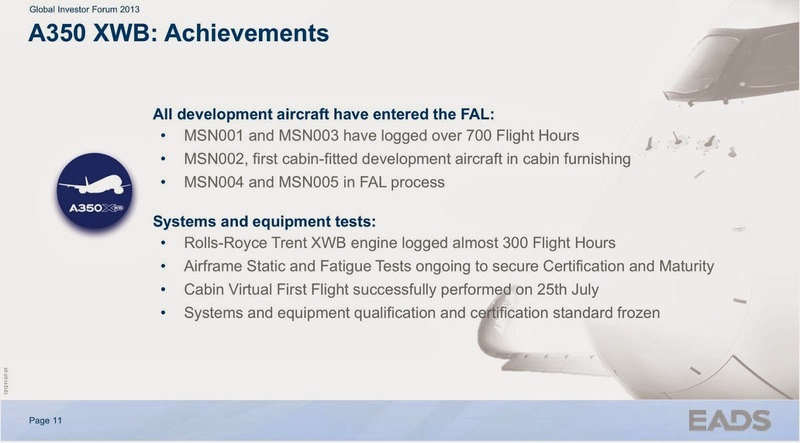 Saab will be the single-source supplier for these components in the A350-1000. This is Saab’s first system win on the new Airbus aircraft and gives Saab a key role on this fast-growing aviation program. 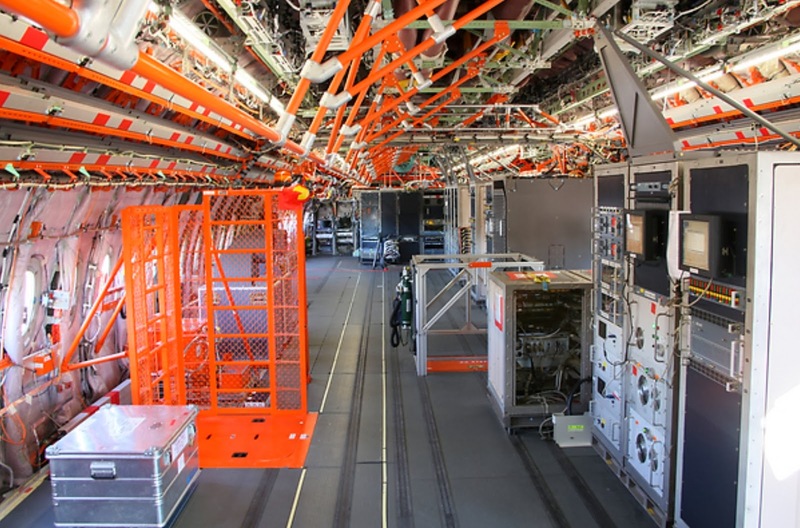 “This marks a break-through on yet another Airbus platform confirming our expertise and competitiveness as a global actor on the commercial aviation market. With this contract we further cement Saab as an important and long-term partner to Airbus and we look forward to working with Airbus on the game-changing A350-1000 program," says Lars Jensen, head of Saab’s business unit Aerostructures. Saab is responsible for the design, development, stress analysis and manufacture of the flap support structures as well as the development and procurement of production tools. The work package comprises both metallic and composites content with a high degree of complex assembly included. The development and production will take place at the Saab Aerostructures facility in Linköping, Sweden. 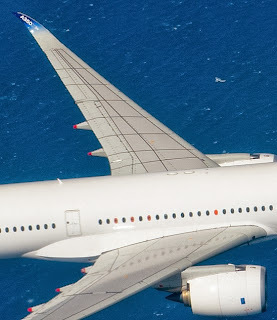 Air Caraibes will buy 3 A350-1000 and lease another 3 A350-900. French airline Air Caraibes announced plans for a $1,5 billion order for 3 A350-1000 aircraft and lease of further 3 smaller A350-900 in the largest order in it´s 10-year history. 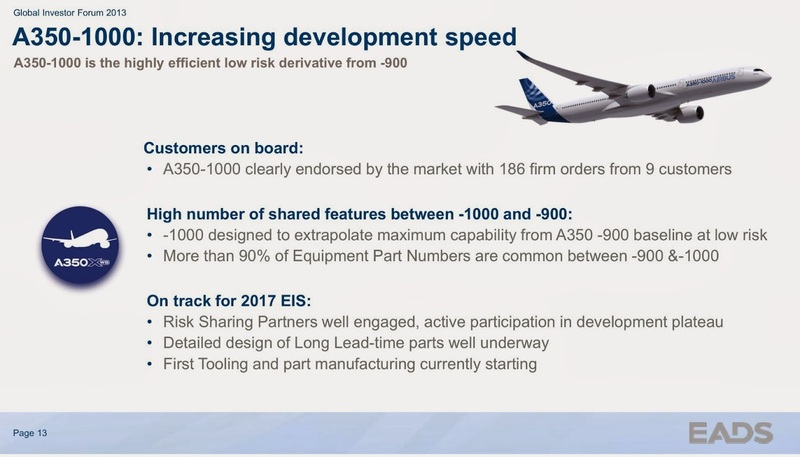 The A350-900 will have a 380 seats configuration and the A350-1000 a 440 seat configuration, with 30% of seats more than its current A330, "finding a competitive advantage." 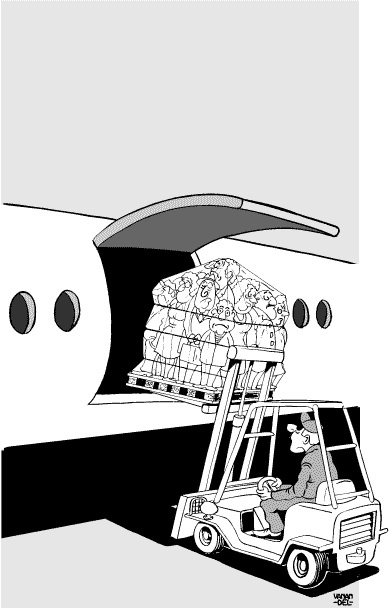 The A350 has an exit limit of 440 passengers with the standard 4-door (per side) configuration. The airline is renewing the entire long-haul fleet between 2016 and 2020. Air Caraibes will be the first French company with a A350-900 starting from December/2016, as Air France´s first aircraft, from an order of 25, will be delivered 2 years later in 2018. 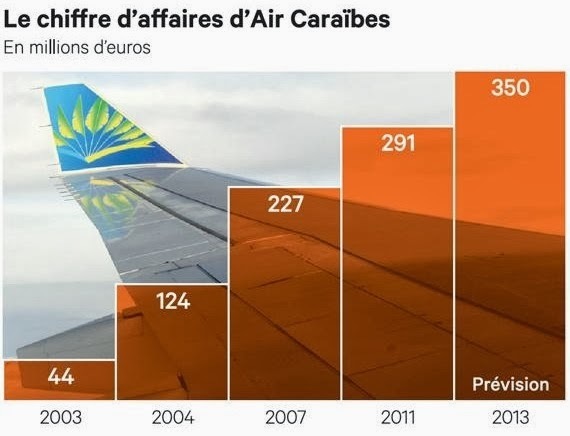 Air Caraibes appears only in the 9th rank of French companies, with 1.2 million passengers, but it has become the most profitable of French airlines, increasing in 10 years its turnover by 8 and its workforce by 4. Based on the article “Air Caraïbes s'offre l'A350 pour ses dix ans de transatlantique” published in Les Echos. 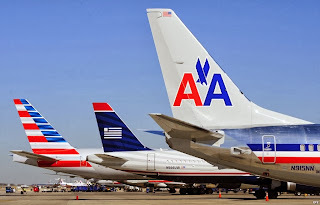 Different colors for the new aircraft liveries have their meaning. A350 XWB will present a special black&white paint scheme for the cabin equipped A350 prototypes MSN2 and MSN5, while Boeing has presented the 777X in a dark red-burgundy. Last month, during the 777X presentation in Dubai AirShow, marketing materials for the airplane, and the livery employed dark red -- burgundy -- as a color theme. It's a departure from Boeing's deep-blue brand, but they did something similar when it rebanded the 747-8 with orange livery. 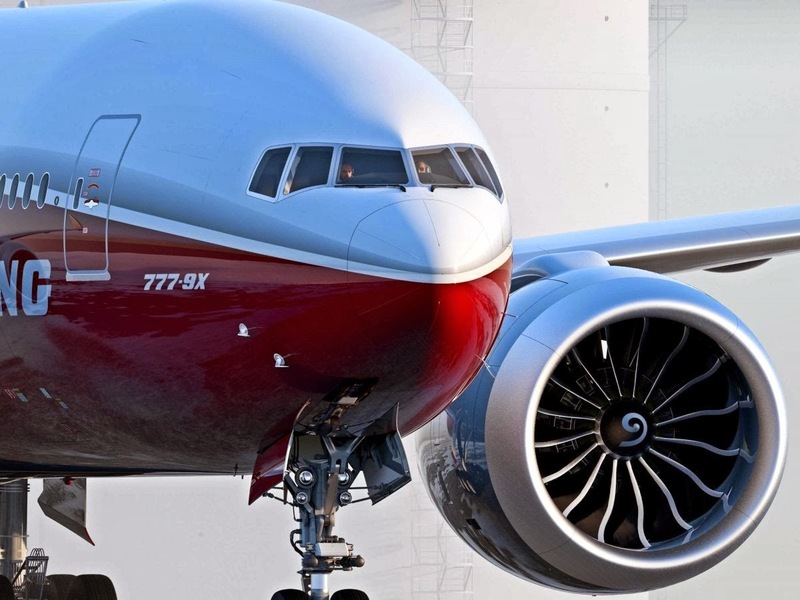 The choice of burgundy for the 777X is no accident; “The choice of burgundy was not made overnight. 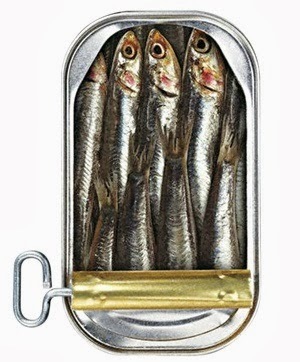 Boeing had to complete quite a bit of research before deciding on their new color. Different colors can have different meanings, and Boeing did not want to end up insulting a particular culture or airline based on a wrong choice." "Believe it or not, there has been quite a bit of work done on seeing what feelings and words that people relate with colors. Boeing found some key thoughts connected to the color burgundy, which they wanted passengers and airline customers to associate with the plane. Those words are vigor, elegance, refinement, high-end, richness, leadership, and maturity. 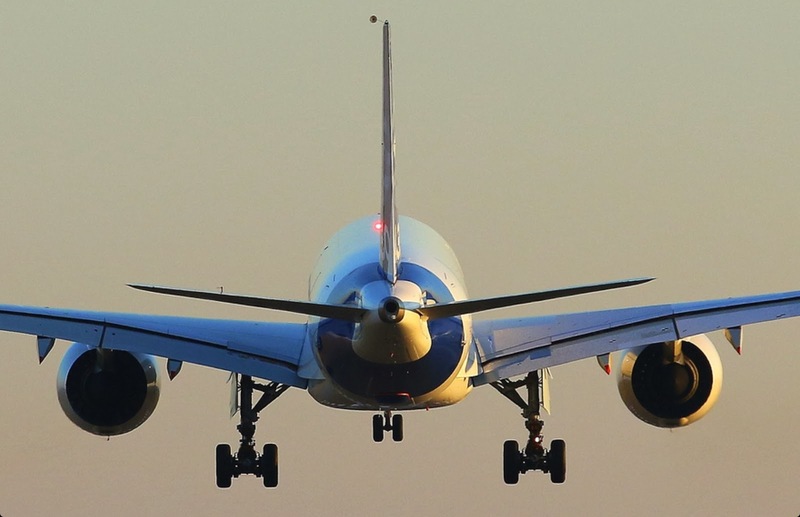 Think of the color as a fine wine, in literal color and embodiment.” said Rob Pollack, vice president Advertising, Brand and Market Positioning with Boeing. Airbus´ official color is blue as well as Boeing´s, but there have been many different liveries with some variation of their color roots. 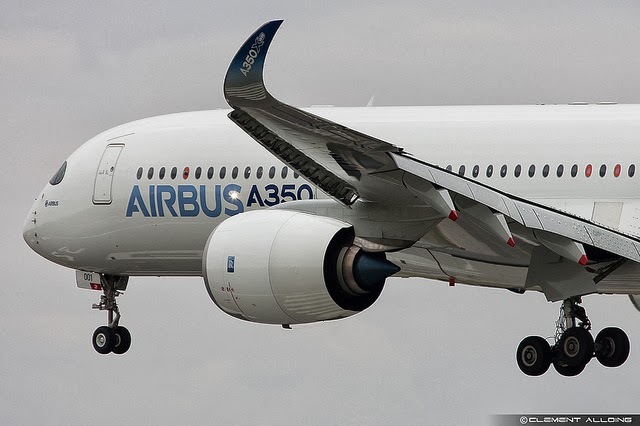 The cabin equipped A350 prototypes MSN2 and MSN5 will have a special livery in black & white that will be officially shown in coming weeks by Airbus. 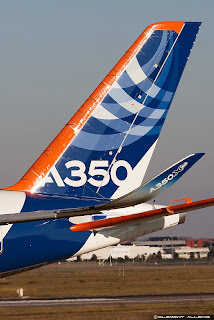 The high % of caborn fiber used in the A350 XWB is what Airbus wants to highlight with these colors.